Welcome to what is the first edition of SOTA quarterly news - first edition only in one respect in that it is the first quarterly, whereas previously there was a monthly news. After several monthly news editors sequentially decided to retire, the monthly news split into New Asssociations and Awards. comuninity - and they were. I got into discussion with Tom M1EYP and Andy MM0FMF about this shortfall and decided to volunteer to try to compile a SOTA general news that could encompass such general (any thing of interest) contributions and publish that as a SOTA News at some interval. We decided that should be quarterly - one reason at least being the work load that the monthly news generated - heavy.- and I needed to look for process improvements. OK so quarterly spreads the task out, but I needed to ensure that the task was manageable so it dawned on me that I could create a category in the reflector (News Editors) and then enroll contributors into the group New Editors and allow them to generate their contributions with dialogue and pictures exactly as they wanted them to appear. No need to submit text and photos directly to a compiling author - they can create exactly what they want, effectively off-line from the main reflector flow. After that it is up to me to compile those into a single SOTA news post - no reformatting.- exactly as they submitted. And guess what?? - that process actually works except that I still have to refine the compilation process to optimize it. This quarters news is a little bit thin of contributions so far but the good news is that 5 previous regular contributors have agreed to become members of this group - News Editors - and more will be welcome - so I am expecting to have more content for the July 2019 news… I have sent many PMs that have drawn no response, nothing from the west side of the Atlantic nor ‘down under’. My thanks to Allan GW4VPX, Paulo CT2IWW, Don G0NES and Guru EA2IF who have contributed to this News. Just thought I would share some reflector statistics for the month of March 2019 to give you some idea of the activity. There has been quite some discussion on the reflector recently about using VHF or UHF using hand held radios. Don G0NES reminds activators looking for contacts in this way that holding a hand held side ways on so that the antenna is horizontal may increase your chance of picking up a contact. Many home based chasers have horizontally polarized beams and some may not be able to hear you with the antenna vertical. So if you are using a hand held and struggling for that final contact to qualify, maybe going horizontal with a bit of directional rotation might just bring that contact you need. Winter bonus heralded an increase in SOTA activity on the hills and mountains of Wales. Indeed, there were times last month when as many as 8 summits were being activated at the same time and some frantic Summit to Summit calls were being made from North to South Wales on VHF. Sadly, once again we have been hit by some severe storms which have brought with them prolonged periods of wind and rain with flooding in many towns and villages in my locality curtailing many activation opportunities. Nevertheless, some of the stalwarts of SOTA have been out adding winter bonus points to their already impressive activation scores. Rod M0JLA and Viki M6BWA (Hereford City) continued to hop over the border and activate the popular summits in the Brecon Beacons (GW/SW) and making sure they popped up to North Wales for a few of the big ones. 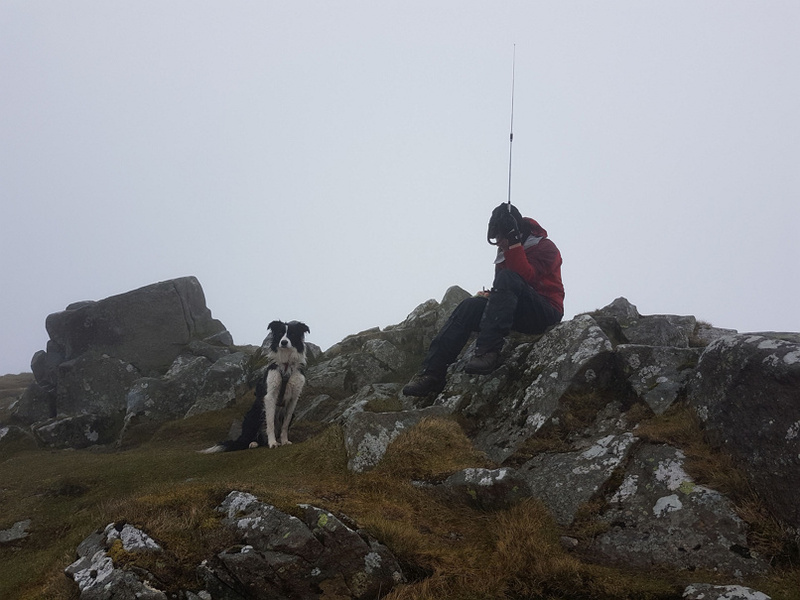 VHF enthusiast Adrian G4AZS continues to pop up unexpectedly on our Welsh mountains using HF these days so thanks for that New Year resolution Adrian. We have a few new Mountain Goats with John MW0XOT hitting the 1000 on The Begwns GW/MW-025 and John G(W)4TQE crossing the border and the MG threshold with a visit to Waun Fach GW/SW-002 (8 points)…congratulations to you both . 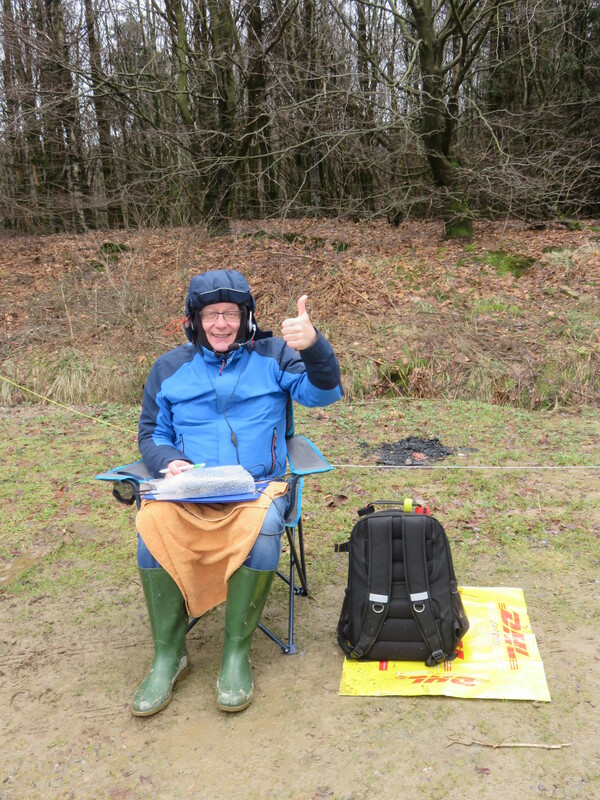 On the extreme side of SOTA, Andrew M1CJE (Wiltshire) ( http://blog.m1cje.uk/ ) has been activating in some harsh weather conditions in Wales during the last few months and will probably see his Mountain Goat trophy being collected during the next Winter Bonus session?…good luck Andrew. Andrew is usually accompanied by Richard M1HAX and Pete M6XPE (Andrew’s son). Jordan M3TMX (Erdington) is another who is quietly amassing a large number of points and is a regular visitor to the mountains of Wales. Another faithful visitor is Meg the Border collie who drags owner Mike G7HEM (Stourbridge) on to the Welsh summits. Mike is close to Mountain Goat so 2019 should be the year. 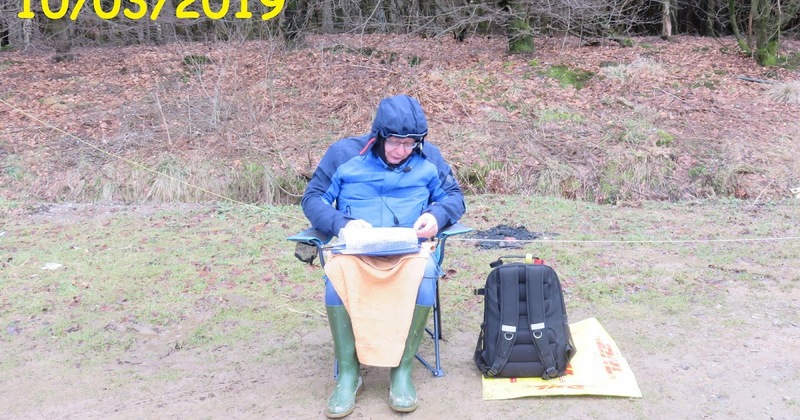 It was a pleasure a few weeks ago to have a joint activation with SOTA fanatic Paul M0PLA from Telford who has recovered from an illness to once again chase Winter Bonus points on the mountains of Wales…just couldn’t keep up with him hi. Regular visitors to the Brecon Beacons are Philip G4HQB and Gillian M6OVW from Ludlow along with Bill G4WSB and Debbie M6BYW from Wiltshire. Since getting his Intermediate license in November Roger 2E0RYR (Leominster) has been steadily collecting activation points by visiting South Wales…well done and keep going. 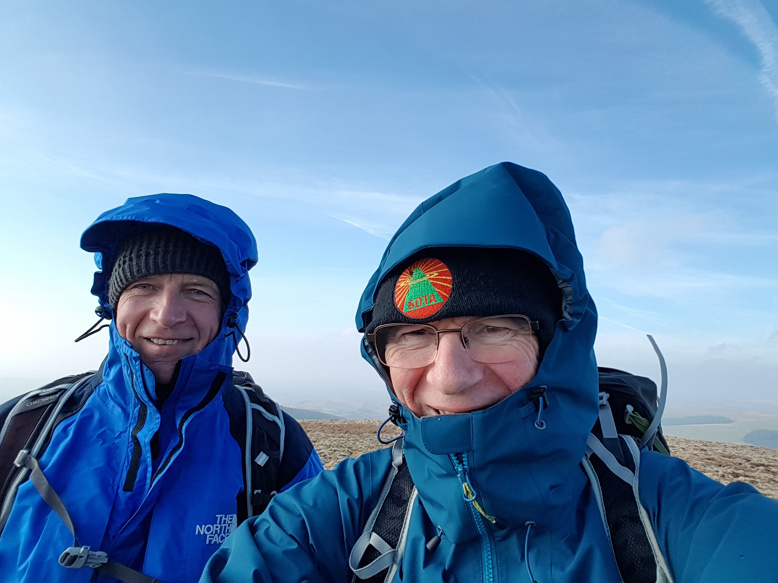 It’s nice to know that our local activators including myself are still plodding the hills and mountains with Mountain Goat Mal GW6OVD guiding Ian 2W0IWM around the summits of South Wales. Emyr MW0VPS is appearing more often and nice to hear newcomer Derek 2W0FLW giving us some points from South Wales. Our local and not so local chasers continue to support us so a big thanks to them also. Dozens of activators are expected to “head for the hills” next Saturday, the 6th, to participate on the yearly SOTA Portugal Day. Besides the “traditional” HF activations, there is a growing number of DMR ops that are planning to attend, operating their digital UHF transceivers in simplex mode. This is not a contest but rather a gathering of enthusiasts of this very popular program amongst amateur radio operators. Therefore, all hams around the world are invited to participate, with no exceptions. Amateur radio operators who are activators are particularly encouraged to bring other hams or prospective hams to the activation, thus enabling them to experience the Summits on The Air program. In the amateur’s radio operator area or any CT/CU/CT3 summit. The enrollement period to attend SOTA-Portugal´s yearly meeting next May is open now. According to Pedro - CT1DBS, the number of registrations so far is “encouraging” and he hopes to have a full house by the time the event starts. The program includes a series of presentations regarding Summits of the Air ativities in Portugal, namely a review the progam´s statistics, rules, equipment and hands-on tutorials on safety and operating procedures. On Sunday, the meeting will take to local summits for a group activation and lunch. The event will take place in the city of Santarém with support from Santarém Municipality (Câmara Municipal de Santarém) and the Associação de Radioamadores do Ribatejo (ARR) club. Congrats to Nuno Gomes - CT2HOV for the activation of all Trás-os-Montes SOTA references (CT/TM) in the year of 2018. Those who followed his activities (and the few who kept him company) are witness to what seemed sometimes a marathon of summit hopping, from early morning to late at night. In some of those weekend forays, he had the support of local fire stations, who offered overnight shelter. With this tour, all of CT/TM references have been activated at least once. Nuno is now aiming at CT/BA for 2019, so keep an ear out for him. 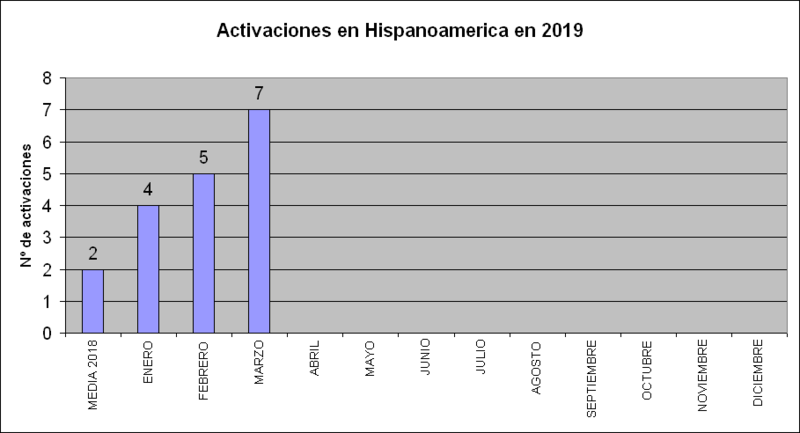 With the information available in the database, this is the graph of the activations and activators in Spain in March 2019. EA2 leads this month in number of activations, followed by EA1, EA8, EA6, EA3, EA5, EA7 and EA4. We haven’t got any activations from EA9. We’ve got a very good number of activations, well over last year’s monthly average . This is the graph of the number of activations per month in 2019 and the averaged montly activations number in 2018. We have again Manuel EA2DT as the most remarkable chaser in Spain by far with nearly seven hundred chases!! !, which I find just awesome. Last month I wrote “No wonder why Manuel is currently the #7 chaser in the World” and I see now that he’s not only #6 now but he is just 29 points behind #5. 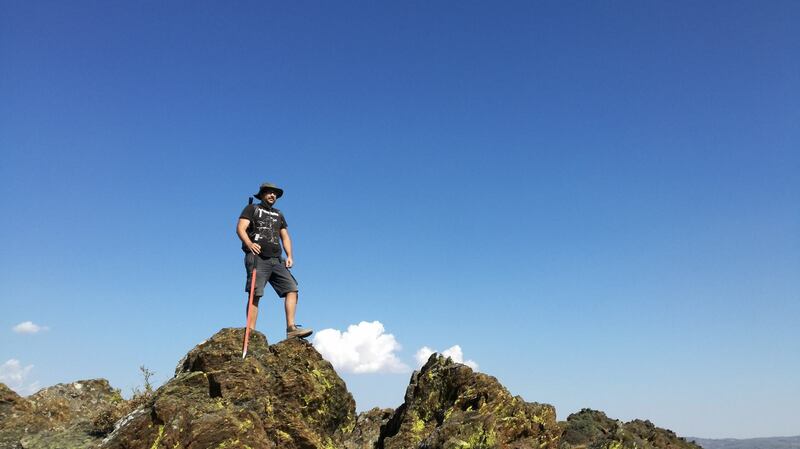 Absolutely amazing Manuel’s devotion and dedication to SOTA chasing! 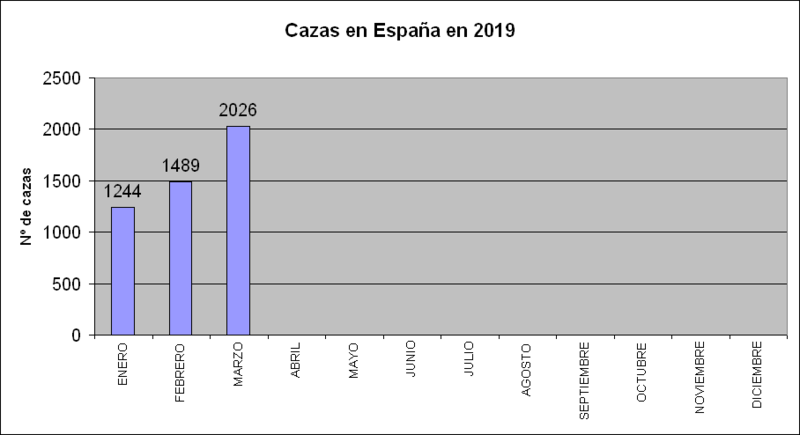 This the graph for the monthly chases in Spain in 2019. As you can see, the increase in number of chases is very impressive! 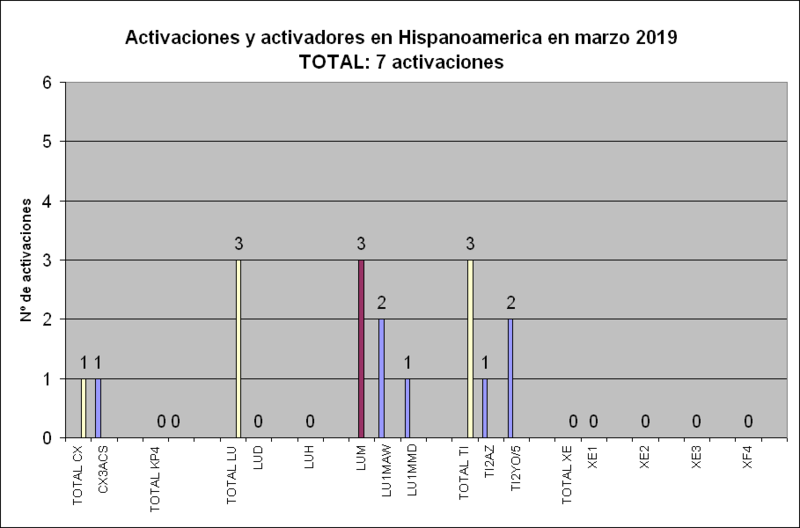 With the information available in the database, this is the graph of the activations and activators in the Spanish speaking American Countries with existing SOTA associations in March 2019. We see this month 1 activation in CX Uruguay, 3 activations in LU Argentina and 3 in TI Costa Rica. This represents a significant increase with respect to the previous months, which is just great. We would love seeing some reports with pictures of some of these activations in the SOTA Reflector. This is the graph of the number of activations per month in 2019 and the averaged monthly activations number in 2018. See the trend. Isn’t this beautiful? Just one single chase in TI Costa Rica. 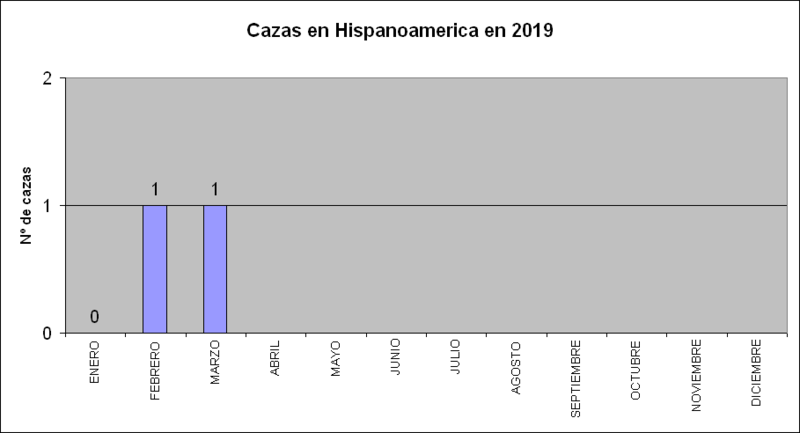 This the graph for the monthly chases in the Spanish speaking American Countries with existing SOTA associations in March 2019. According to the number of activations, I think there should be more chasers in these countries but, for some reason, they have not yet loaded their QSOs to the database, so there’s no way for us to know. As a final comment, I’m delighted with the increase of activating we see in both sides of “El Charco” (The Pond), as well as with the huge increase of chasing in EA Spain. Luc, ON7DQ has joined the Mountain Goat herd on March 10. If anyone else would like to become a contributor to the quarterly news please let me know. Nice job Jim, an enjoyable read. I will not publish an Awards news this month, so few applications for Awards it would be a minimalist exercise. I hope to catch-up next month and then will join in the quarterly News. Nice news report and interesting. A thank you also to the activators that share their routes etc via their blogs. Very useful indeed for a relative newcomer to activating such as myself.